TCS Walkin Recruitment | 2016 Pass Out Freshers Jobs | 13th April 2017. 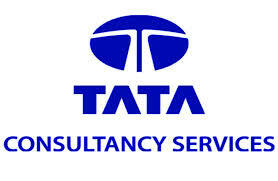 TCS Walkin Recruitment in Chennai for B.Sc, B.Com, BA, BBA, BMS, BHM students. TCS has announced a notification to fill up multiple vacant positions. Interested aspirants must read the complete data on this post like Eligibility Criteria, Walkin Date, Time, Venue etc. Those who are eagerly waiting to work with TCS, this is an excellent opportunity. Not Eligible – B.E, B.Tech, BCA, MBA, MSc, MCA, M.Com, M.A, BSc IT, MSc IT & M.Tech graduates. Any Arts & Science graduates 2016 pass out freshers can apply Graduates B.Com/ B.B.A/B.B.M/ BA/ BMS/BSc (General) are only eligible. Not more than 2 years of gap in Education. If Interested And Eligible, Kindly Walk In With Below Details And Fill The Online TCS Application Form. Click on Entry level freshers link. Click on off campus applicants option. You will receive your unique DT number. Mention your DT number on your resume along with your referral name as Web (Sriram -HR). TCS Walkin Recruitment On 31st March 2017 – Mumbai. TCS Job openings for B.Pharma, M. Pharma students as Fresher. Preparing According to the TCS Placement Papers will make sure that Applicant is well prepared to face the Competition. This is the great opportunity for the candidates who want to be settle in an IT job. So freshers have to concentrate very hard to get job in TCS since the competition is very high. Applicants have to tighten up their preparation by framing a planner which will be comfortable for them. Candidates who are interested and eligible can apply for Latest TCS Walkins in Mumbai and for further details, you can visit the official website. Following the planner in their own style and along with that MNC Online Test Pattern also ensures and boost up the confidence of the Applicant. TCS Life Sciences Solutions and Services help Pharmaceutical, Biotech, Medical Devices and Diagnostics companies to accelerate drug discovery, advance clinical trial efficiencies, accentuate manufacturing productivity and amplify sales and marketing effectiveness. Candidates should not have more than 2 years of gap in education. Reference: It is mandatory to mention “Ekta Datta – HR” & “DT Number” on your resume. DT number is mandatory for eligibility of the interview. Follow the below steps to register and mention the DT number on your resume. Step 1: Go to link – https://www.careers.tcs.com. Step 5: Fill in the details. Step 6: You will get the DT number to your personal e-mail ID. Step 7: Mention your DT number on your resume along with your referral name as “Ekta Datta -HR”. Aspirants can attend for the walkin drive for TCS Recruitment 2017 which is held in Mumbai on 31st March 2017. Candidates can be suggested to check the given below mentioned address and carry the required documents. Xerox copies of all education Certificates. We will provide all the latest updates regarding TCS Recruitment 2017. Keep on checking our website www.allindiajobs.in for further information and can also Bookmark this page.